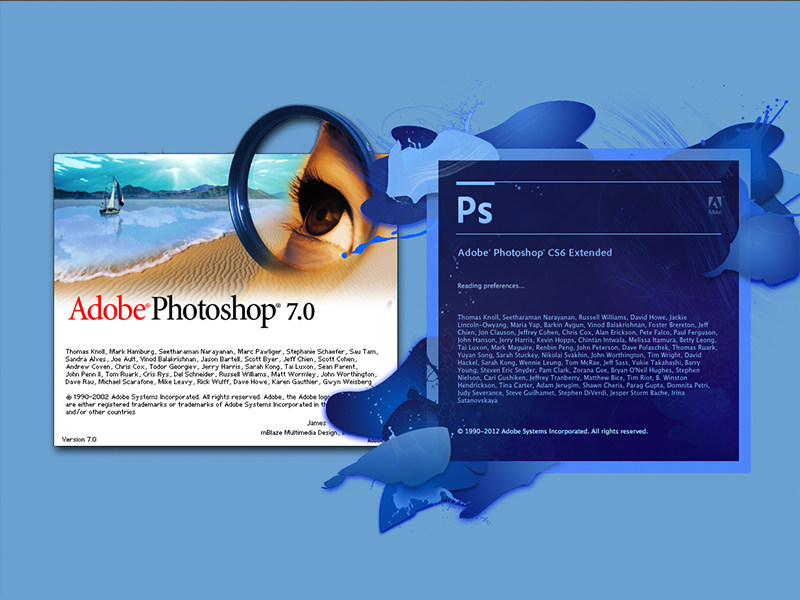 The different versions of Adobe software. I've read a lot about the pros and cons of Adobe going to the subscription-only licensing model that they call Creative Cloud. At first I thought it would be a great idea - license the software only when you need to use it, but the more I think about it the less of a fan I become. I believe Adobe makes great software and although it may be well worth the monthly fee, I have a problem with not being able to license a version and stick with that version until I, as a user, decide it's time to upgrade. Has Adobe considered that a Creative Cloud user must not only consider what it costs to maintain the current version of software, but the costs of the supported hardware changes as well? The same problem isn't the case when licensing a single version of software. If a user buys a computer and then has to subscribe to Creative Cloud, rather than being able to license a single version, that user will be out of luck when Adobe decides that the current version of their Creative Cloud software will no longer support computer hardware that is considered out of date. This will force users into an ongoing software expenditure as well as an ongoing hardware expenditure in order to be able to support the latest and greatest software. Not to mention, that there will be no fall back when Adobe decides to end-of-life a product that is used on a regular basis. 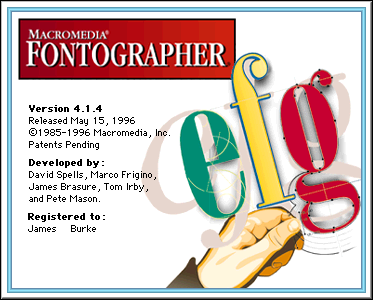 I'm still debating whether or not to keep an old computer with Mac OS 9 in order to continue using the Macromedia Fontographer software that I purchased a while back. There will no longer be any access to documents created in a product that has been end-of-lifed by Adobe, if the only access to the application was the Creative Cloud subscription. Then again, how about archived documents? I have a number of projects that were created in early versions of After Effects, when I try and open them in the current software, I get a message that says they can't be opened in the current software. I have to open them in a version that falls in between the current version and the version that the project was originally created in. This updates the project to a version that can be read by the current version of software. What happens generations down the line when using software that is available for subscription only? Will there be any way to convert old versions of projects to the current software? I think the best solution is for Adobe to offer the subscription model in addition to the license model rather than instead of the license model. I love the CC model I think it’s a net positive. Having access to Adobe’s entire creative suite was unthinkable at one point in time. That said, I strongly feel there is a happy middle ground here. Since Adobe CC is already in the cloud, why not offer downloadable updates as a “New Product?” Existing CS users pay for new downloadable content. It’s already being done with video games. When I purchase a video game I own it thereafter, new maps, DLC(downloadable content), character items, etc. I am charged a fee. Those purchases are associated with an ID so whenever needed I have access to them. The model already exists, this is not new. I feel more nickel and dimed not being able to update at my leisure. Right now $50-$79 a month subscription is not cost prohibitive however, with time it will increase. And as a small independent filmmaker, jobs are sometimes infrequent whereas, if I save and purchase a perpetual license I’m always in the game. The issue is choice. CC is always going to update via the internet, why not offer a fixed solution of paying for the update(new features)? Purchase CS6 if you want a boxed edition and thereafter pay for updates. Therefore at least I have a choice. Exactly. I would prefer Adobe to continue to offer a choice. I have been downloading my copies of Creative Suite from the internet for the last two versions. It may not be necessary to offer a shrink-wrapped box of software anymore. It is necessary to offer the choice of subscription versus a fixed version (as CS6 is available now). There are downsides, but I think there are more benefits and we'll get better products as a result. A versionless approach is a new development model for Adobe. At present all application have to prepare versions for specified release dates. They all ship at the same time. If the development cycles on After Effects are much quicker than those of Photoshop or Illustrator it doesn't really matter because they have to wait for the next major version to release new features. More and more development is following something like an Agile style (common with web applications) were small improvements are made and deployed often. It allows for frequent updates and fairly immediate feedback from users to allow fine tuning. It means that development can progress at it's own pace without having to build feature release milestones and targets around specified release dates. Given how fast internet and video technology are changing this sort of fast development is increasingly beneficial. It's really only possible with a non-versioned product. If they continue with a versioned retail then development has to continue working to specified release schedules. Only by completely dropping that model can they truly embrace a rapid development cycle. Personally I want that, and I have no issues with the Creative Cloud. I have no issues with Creative Cloud and its advantages, I have an issue with not being able to run Adobe software at ALL, if my hardware falls out of specifications. I've seen a number of postproduction facilities that can't afford to keep their hardware updated. With a subscription-only model, that would mean they couldn't run any Adobe software, as opposed to running older Adobe software that had been previously licensed. The software installs directly to your computer. Let's say they put out cs7 and it won't run on your computer. You still have cs6 sitting there as well that you can use. I was under the impression that Creative Cloud works this way: if you pay for a month, the software that you installed on your system, stops working when that month is over. CC is not backwards compatible. If you create something using updated features you're out of luck unless you continue to pay. CS6 will not help in this situation. That would be expected. If there is an advance in the toolsets, the advances wouldn't be compatible with older versions of the software. Most software is understandably that way. The problem I mentioned is if you try to open a version of a project that was created in previous versions, you are sometimes out of luck as well. Some versions are not forward compatible with current versions. As a business owner I reject the very concept of my﻿ files and applications not being 100% completely controlled by ME. This is as much a security and privacy issue as it is financial. Though given that I generally upgrade every other version or so … this WILL cost me more! And in this economy that is unacceptable. And even the slightest chance that if something financially goes wrong and I loose access to any of my applications or files, or something happens to Adobe’s servers while needing something during a tight deadline, etc … is also unacceptable. I have back-ups of back-ups including offsite. I have alternatives if my internet goes down. But I can not control what Adobe does – and again, as a business owner, that is not acceptable. I’m still running CS4 and will upgrade to 6 when I can afford it, But after that, I will probably have to look at other options. 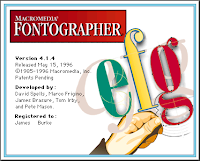 And I’ve been an Adobe Photoshop user since 1990 when I bought my first Mac, a IIFX. I'm hoping that Adobe comes around and decides that it's in their best interest to offer users the choice of subscription or licensed copy. As far as not having access when needed, the name Creative Cloud is a misnomer, the applications always run from your local system and are not dependent on a connection to Adobe's servers. Still, with continuous upgrades of the software on your local machine, legacy copies of projects can become obsolete and no longer accessible in current versions of the software. At the very least, offer a tiered structure for subscriptions. The feedback so far has been overwhelmingly negative as far as I can tell. I think they'll be forced to. I hope so, I would hate to have to give up using Adobe products. We've used Adobe Premiere as our primary edit program since version 4.2 The simple message to Adobe is that after all those years we have bought our last product from them. I agree with all James's key points... I'd also echo the anonymous comments expressing concerns about being dependent on Adbobe's servers and indeed an internet connection. We're some way off our next upgrade; but already we're researching the alternatives to Adobe - I guess it's so long and thanks for al the fish! Let's hope Adobe comes to their senses and that it doesn't become necessary to abandon them. I disagree with the idea that Adobe’s new subscription model will see lots of new features. Once everyone is locked in to a subscription Adobe can rest on its laurels and take it easy in terms of new updates. Until now the only way Adobe got new money out of customers was to convince them that the new version of their software was so good its worth upgrading. With the subscription you are paying whether they make improvements or not. Adobe are quids in! The only way this situation will improve is if Adobe had more competitors. And while there are alternatives at the moment Adobe software is often the industry standard which forces you to use it. It's a shame that Adobe has chosen this path. I don't know what I'll do when I can no longer use Adobe Photoshop CS6 and After Effects CS6 and I was just getting used to Adobe Audition CS6 after Apple ditched Soundtrack Pro. 1) You don't HAVE to upgrade when an update is released. 2) Your CS6 will continue to work. 3) You can fall back to previous versions. 3) I've been able to open projects that were created with previous versions.